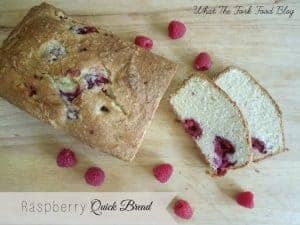 This Raspberry Quick Bread great tasting quick bread with an even greater texture. I really love quick breads. 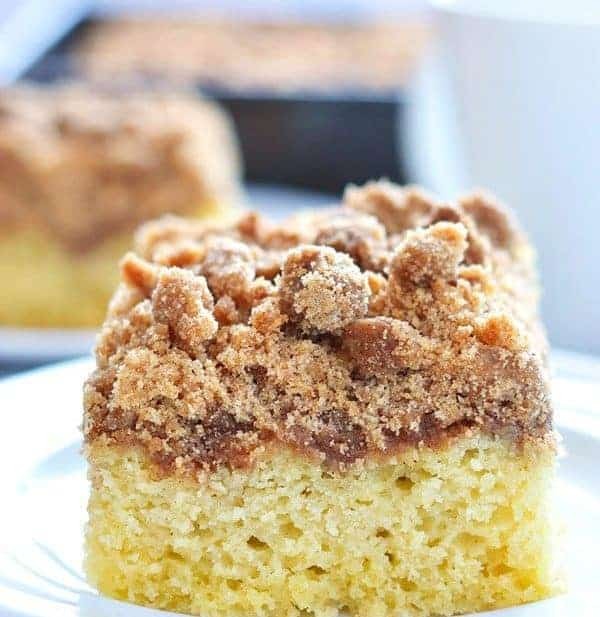 They’re really easy to make gluten-free with fabulous results. This Raspberry Quick Bread is really good. Like, really freakin good. Even my 1-yr-old approved. Actually what she said was “mmm, yummy bread! I like it!” Getting a toddlers approval sometimes feels like getting a Michelin star, for real. Typically I have a good eater. But lately it’s all been “no, no want it” or “no… I don’t like it”. Kelsey took one look at this bread and could not wait to get her hands on it. She literally couldn’t wait, as half of my pictures were evidence because I kept capturing her impatient sweet little hands trying to steal a slice. And this bread was totally worth waiting for… “delicious!” (Her new favorite word, often used to describe her pretend food, not real food.) The fact that she called a real piece of food delicious (that wasn’t ice cream, chocolate, frozen peas or roasted chicken) was huge. Hence, the Michelin star reference earlier. Like most of my recipes, this was not originally a gluten-free recipe. I adapted this recipe for my Raspberry Quick Bread from this Lemon Raspberry Bread. By using my handy-dandy gluten-free all-purpose flour mix, I was able to create a great tasting quick bread with an even greater texture. I really love quick breads. They’re really easy to make gluten-free with fabulous results. They’re also another great on-the-go breakfast for Adam. Bring this to your next brunch party or make it for your family. It will be a hit. Pre-heat oven to 350 degrees and spray a 5x9 loaf pan with non-stick spray. Cream together butter and sugar using a stand or handheld mixer until smooth. In a separate bowl, sift together flour, xanthan gum, baking powder and salt. Set aside. Add eggs to the butter/sugar one at a time, mixing after each addition. Add half of the dry ingredients to the butter/sugar mixture and mix until just combined. Add half of the milk and mix until combined. Mix in the remaining dry ingredients until combined, followed by the remaining milk. Turn off the mixer and scrape down the sides of the bowl. Add the raspberries to the batter and use a spatula or spoon to fold them in. Folding the raspberries in gently will help keep them from breaking apart. Transfer batter to the prepared loaf pan and bake at 350 degrees for 1 hour or until tester comes out clean. *The recipe can easily be converted to be a regular quick bread (with gluten). 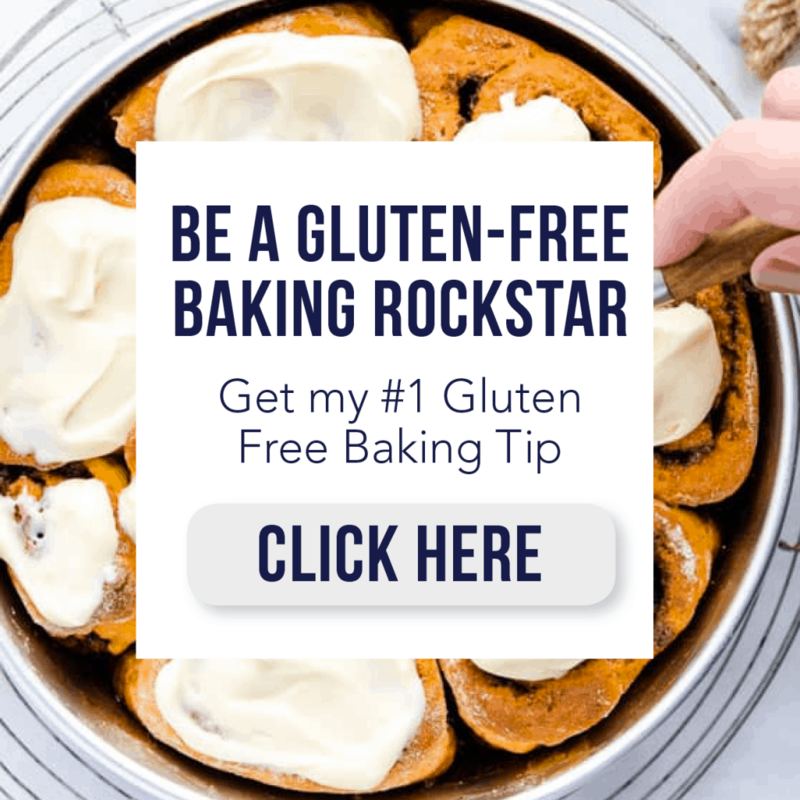 Just substitute the gluten-free flour for an equal amount of regular all-purpose flour and omit the xanthan gum.When following a gluten-free diet, please be sure to use gluten-free ingredients. Can you substitute the milk for coconut or almond??? I would do the Almond milk personally as I have more experience with it. I sub it in all my recipes that call for milk and there is no difference in the taste of the final product. Coconut milk might be fun to experiment with in something like this though as it would probably give it a subtle coconut flavor. Have fun making your bread! Hi. Have you tried adding banana to this recipe? If I add banana do you think it would need baking powder? Hi Julie! 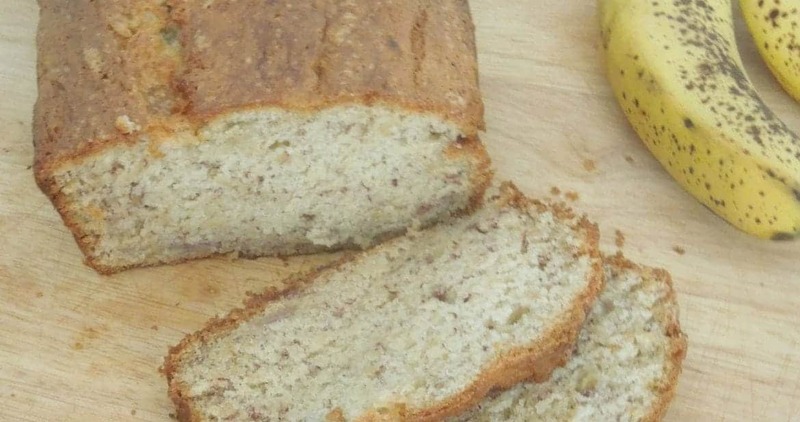 I have not added banana to this particular bread, I have a separate recipe for banana bread (which I’ll be posting this week). You could try adding banana if you wish but this recipe does already call for baking powder. Both this recipe and my banana bread recipe call for 1 tsp baking powder so I wouldn’t change the amount. If you make this with the banana and the results aren’t what you want, try adding a 1/2 tsp of baking soda. I hope this helps! 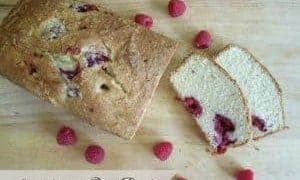 Your Raspberry Quick Bread looks fantastic! 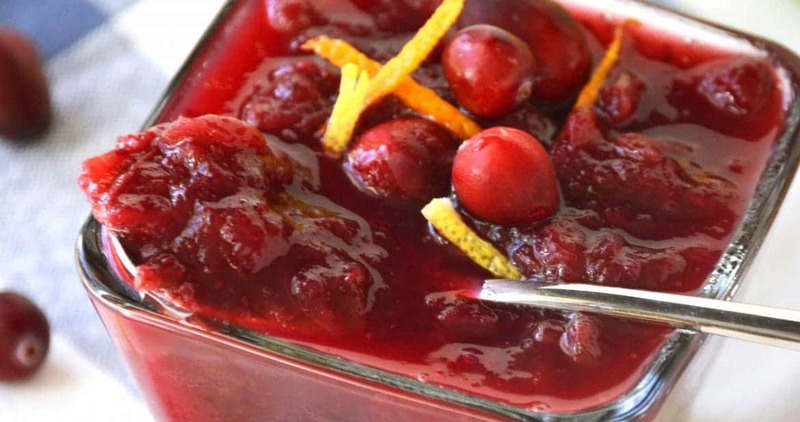 Thanks so much for sharing your awesome recipe with Full Plate Thursday. Hope you are having a great week and come back soon! Will the bread be ok if I freeze it for a couple of days? Or will it be sticky on top? I made this bread this morning for my boyfriend’s birthday and he loved it!! Another great bread! I have made it three times now. Yesterday when I made it, I realized that I had no vanilla, subbed lemon extract and zest and it turned out great. Thanks again for another wonderful recipe!